MONTE-CARLO, Monaco, April 3, 2019 /PRNewswire/ -- Lumenis Ltd., the world's largest energy-based medical device company for aesthetic, surgical and ophthalmic applications, announces the launch of its newest platform, the Legend Pro+™, a unique multi-application platform powered by four clinically-proven, complimentary technologies. The platform will be showcased at the 17th annual Aesthetic & Anti-Aging Medicine World Congress (AMWC) conference in Monte-Carlo, Monaco from April 4th – April 6th, 2019. The Legend Pro+™ is a face and body platform offering a comfortable solution with immediate results, long-term efficacy, minimal pain and downtime, with no need for anesthesia. The platform combines four innovative technologies based on RF current, in order to offer a complete toolkit for tailor-made sessions, meeting your patient's expectations. Hybrid Energy (HE™), a RF-assisted ultra-thin electrodes treatment combined with direct current, TriPollar® RF, DMA™ muscle stimulation and TriFractional™, all encourage and enhance the natural healing and regeneration process of the body. "The TriPollar® RF and the Hybrid Energy™ allow me to customize treatments for my patients and get optimal results", says Dr. Tretti Clementoni from Milan, Italy. "My patients are happy going through almost painless treatments, and treatment time is shortened without the need for numbing. These unique technologies allow for the treatment of multiple indications, with exceptional results." 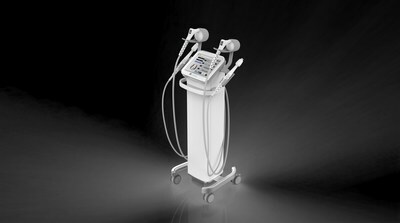 Legend Pro+™ offers a complete toolkit of non-invasive and minimally invasive technologies to enable the user to create tailor-made treatments and achieve fantastic results for every patient - from resurfacing of the upper layers of the skin, to regeneration of collagen in the dermal layer, to toning and firming the SMAS layer. "Lumenis is excited to introduce the new Legend Pro+™, an innovative solution for all those seeking healthier skin with minimal pain and downtime," said Tzipi Ozer-Armon, CEO of Lumenis. "We are firm believers in the clinical benefits of our unique RF technologies and will continue our close collaboration with medical community leaders to expand and enhance their value." Lumenis will introduce the Legend Pro+™ during this year's AMWC conference. Presentations highlighting NuEra tight™, M22™, SPLENDOR X™ and PiQo4™ will also be occurring at the booth. Please visit lumenis.com for a detailed agenda of activities at the conference. For more information about the Lumenis family of products, please visit the Lumenis booth (C12). Information provided in this press release may contain statements relating to current expectations, estimates, forecasts and projections about future events that are forward-looking statements. These forward-looking statements may include but are not limited to the Company's plans, objectives and expectations for future operations, including its projected results of operations. Forward-looking statements are often characterized by the use of forward-looking terminology such as "may," "will," "expect," "anticipate," "estimate," "continue," "believe," "should," "intend," "plan," "project" or other similar words, but are not the only way these statements are identified. These forward-looking statements are based upon our management's current estimates and projections of future results or trends. Actual results may differ materially from those projected as a result of certain risks and uncertainties. These forward-looking statements are made only as of the date hereof, and the Company undertakes no obligation to update or revise the forward-looking statements, whether a result of new information, future events or otherwise.